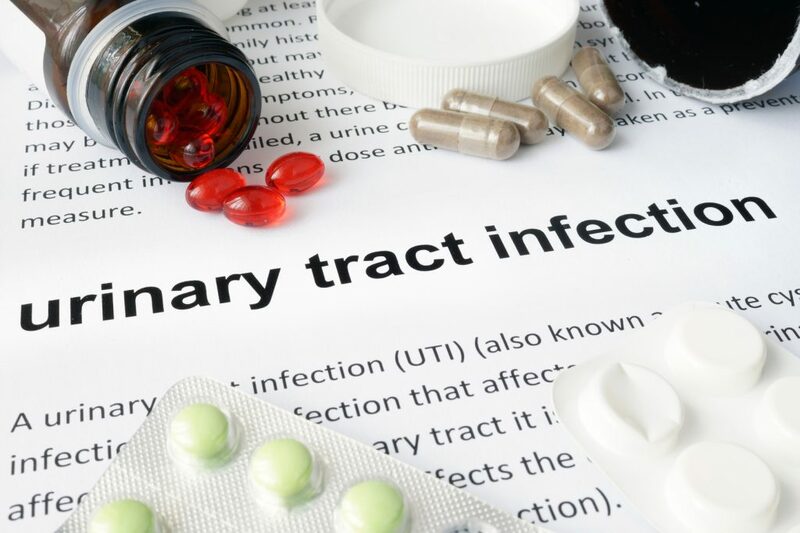 A urinary tract infection is a form of infection caused in any part of the urinary system, i.e. Kidneys, Ureters, bladder and Urethra .When the infection affects the lower part the lower urinary tract it is known as bladder infection and is called as Cystitis. When it affects the upper urinary tract it is known as kidney infection and called as Pyelonephritis. Multiple white cells are seen in the urine of a person with a urinary tract infection if tested using microscopy. The most common cause of infection is the microbe Escherichia coli which is a rod shaped bacterium. If it occurs, it usually follows a bladder infection but may also result from a blood borne infection. According to statistics, about 150 Million people develop a Urinary tract infection each year. Urinary tract infection is more commonly observed in women than men. Burning while Urinating – The term used for such a symptom is Dysuria, it is a symptom of pain, discomfort or severe burning caused when urinating. It is more common in Women than Men. Frequent urge to Urinate – The frequency and urge to urinate increases even though the bladder is empty. Cloudy or strong smelling Urine – The urine might be strongly smelly and even blood may ooze out during urination. Nausea – The patient may feel week and may experience vomiting and Nausea. Muscle aches – The person might experience frequent abdominal pains as well as muscle aches frequently. If a person has a kidney infection, they could also experience upper back and side pain, high fever, shaking, chills, fatigue and mental changes. One of the primary things to do while suffering with Urinary Tract Infection is to drink plenty of water. That’s because drinking water can help flush away the bacteria that’s causing the infection. Taking up Vitamin C enriched foods makes the Urine more acidic inhibiting the growth of bacteria. Cutting down the intake of bladder irritant foods like caffeine, alcohol would help the body heal faster. Nevertheless approaching a doctor for a diagnosis for medical help would be the best thing to do in order to avoid further complications. But many people find it difficult to find doctors based on speacility in their locality hence healthcare software companies came forward with a solution of online doctor consultation thus by avoiding the further burden of finding the doctors by specific locality. Green Tea – Why Should You Have It? Is gazing at your computer making you fat?